September 5 – Asia’s top coaches have endorsed the use of video replays in matches at the inaugural Elite Club Coaches’ Forum in Shanghai, China. The coaches felt that the use of technology should be expanded and that video replays in particular protected the referees by being able to check decisions, as well as ensuring wrong decisions were corrected. Within the Asian Football Confederation (AFC) region video technology is being used in the Australian A-League but the coaches felt now was the time to increase tests. 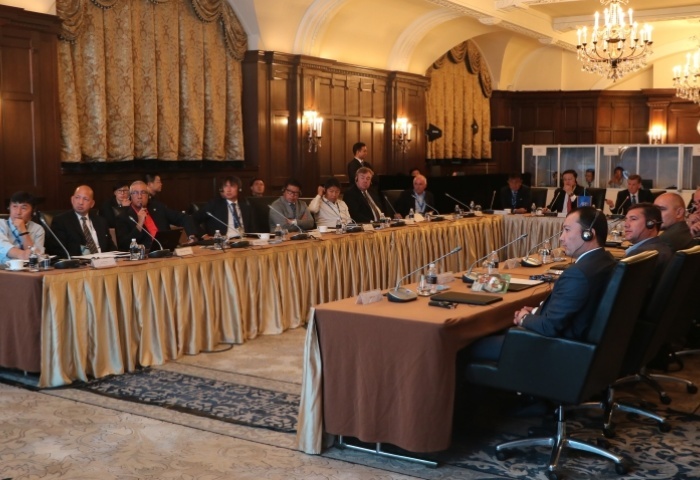 The two-day forum was organised by the Asian Football Confederation’s technical director Andy Roxburgh and drew together top region’s top coaches including European imported coaches Sven-Göran Eriksson (Shanghai SIPG) and Felix Magath (Shandong Luneng). With the AFC having increased its emphasis boosting and widening the base of high level performance across the region, the objective was for the coaches to share information and opinions on a wide range of footballing issues including competitions, coaching trends, laws, refereeing, media, and technical football development. This week more than 300 coach educators have gathered at AFC headquarters in Kuala Lumpur for a series of meetings on coaching developent.